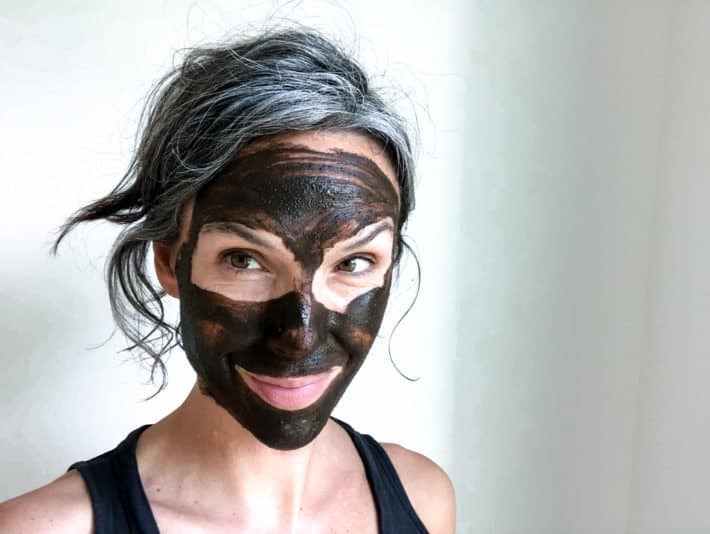 If I had to write a singles ad, it would go something like this: “Likes long dinners, organic wine, raw veggie bread and face masking.” Can you blame me!? I try my best to feed my skin from the inside-out; eating leafy greens, taking a daily probiotic, getting enough sleep. This gives me pretty decent skin, especially for a 40-year-old child of the sun-soaked 80s. BUT treating my skin from the outside-in with an effective organic mask takes my skin to the next level. Today I’m sharing 5 organic masks that give me instant results. But Wait, Which Mask Is Right For Me? If you are new to masking or just always wonder how to pick a mask, stick with me. Masks are designed to treat a plethora of skin issues. 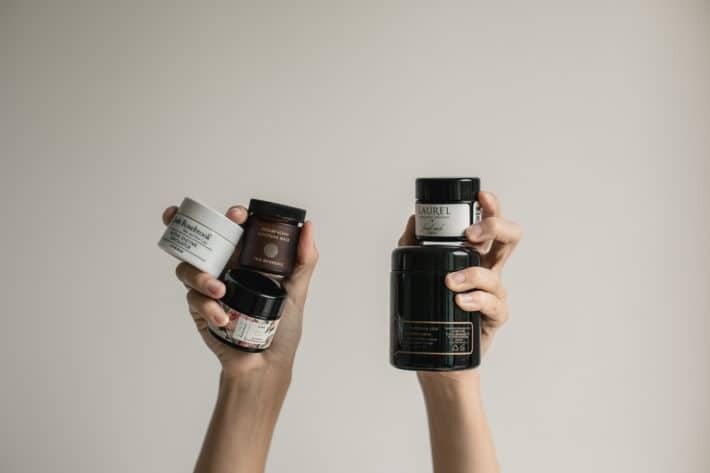 Choose the right one for your skin’s needs and watch the magic happen. Here is how I decide what to use. When my skin is dry or I am overtired I reach for a mask that will deliver, moisture and hydration. 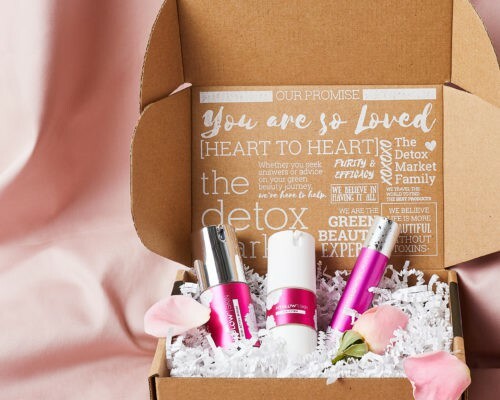 When my skin looks congested and I can see all that junk in my pores, I choose something that will detoxify and provide a deep cleanse. When my skin looks dull or lackluster I try an exfoliation mask. 1-2 times a weeks seems like the right fit for me. 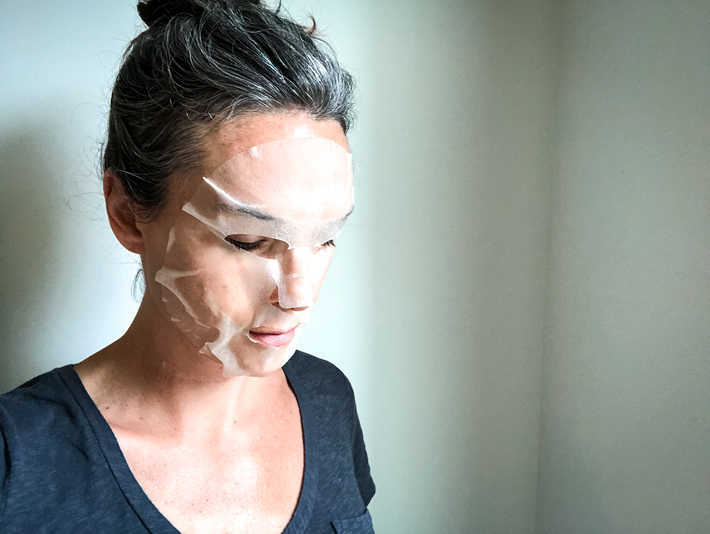 And I am constantly looking to brighten and even my overall skin tone from pesky hyperpigmentation (which means sunscreen all the time) but also I have two great masking options to help with this. See below. The other cool thing is you can totally mix and match. For example, one mask on the T Zone to detoxify and a surrounding mask on your cheeks, face and neck to hydrate. I mean the choice is pretty obvious, especially when you see results. Wouldn’t you agree? Now masks are designed with different goals in mind. 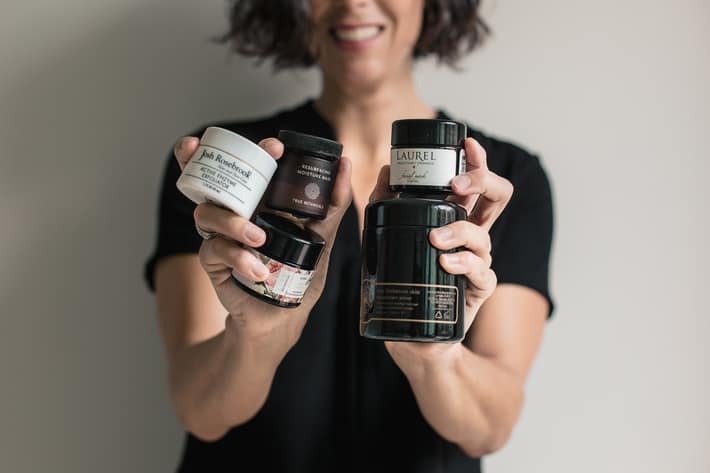 Some are great for detoxing the skin, others are good for cleaning, then we also have masks to hydrate, brighten, exfoliate, feed the skin and more. Sometimes you use a mask and you are like okay that was nice. And other times you take a mask off and you are like HOLY MOTHER OF PEARL, I can literally see a difference. Those are the masks I’m going to talk about today. I have 5 for ya! I can use Brighten Facial Mask ONCE and instantly my skin is brighter. I can totally see it! This is important to me especially with my hyperpigmentation, sun damaged and maturing skin. 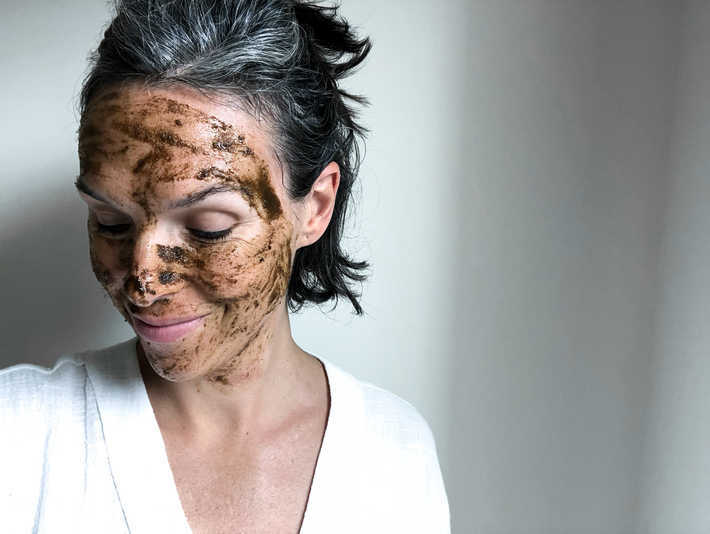 Laurel Whole Plant Organics Brighten Mask will brighten and even skin tone just after one use! Brighten Facial Mask is a powdered mask meaning it comes dry and you add liquid to it to activate it. The great thing about this is that the powder is super nutrient dense and has all of it’s delicate enzymes and acids in their strongest form ready to deliver. 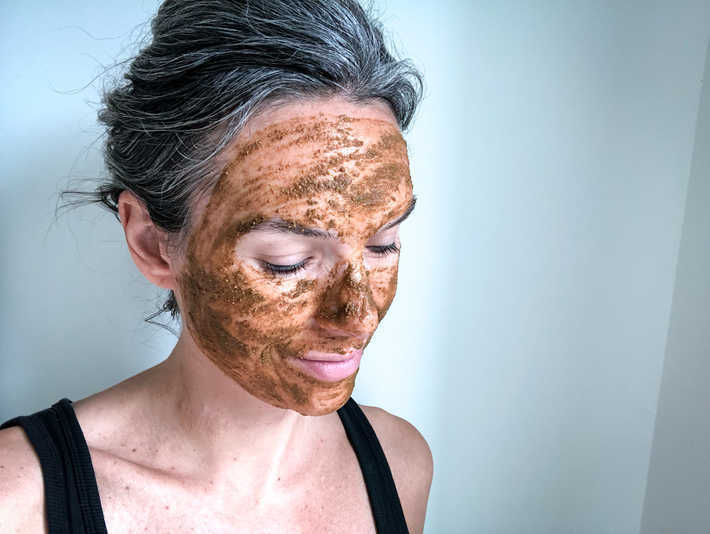 When a mask comes wet, it’s been sitting in water and degrading over time, losing it’s power with each passing day – this is especially true with Vitamin C. The other cool thing is when a mask comes dry, it doesn’t require a preservative and also it will never go bad! Laurel recommends mixing this mask with water only. She says first of all, water is a neutral medium. And second water actually pulls nutrients out of plants and it can drive nutrients into your skin. She says people love to mix this mask with yogurt, honey, avocado…but water will deliver the best results. 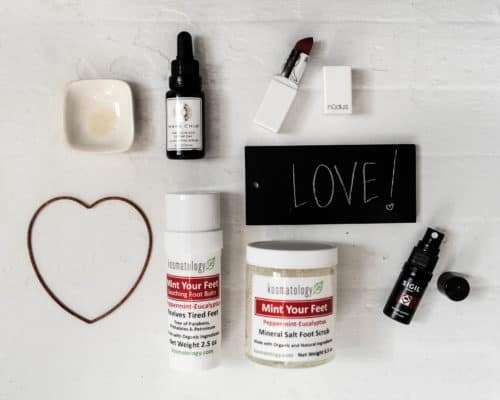 If you haven’t heard of Laurel Whole Plant Organics well, you are in for a treat. Her entire line is ORGANIC without waiver or compromise. She also works closely with specific farms she sources her ingredients from overseeing the process from seed to bottle. This is pretty rare and deserves to be acknowledged. Laurel is the real deal! Get Brighten Facial Mask here! All of the ORGAID Sheet Masks are really great but I have a soft spot for the VITAMIN C REVITALIZING sheet mask. This mask hydrates and plumps my skin like a boss. The directions say to put it on and let it sit for 20-30 mins but I tend to leave it on (if I’m sitting at my computer) until it dries…which might be an hour? 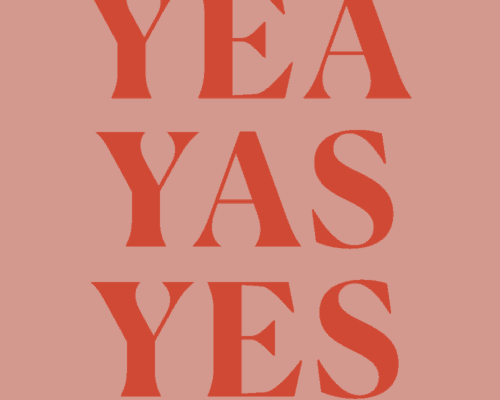 Maybe 2? Then I take it off and my skin feels so refreshed, nourished and hydrated! It actually feels a little bit tacky too like it’s totally full. Their VITAMIN C REVITALIZING MASK is specifically designed to lighten dark spots, stimulate collagen production and exfoliate which HELLO, give it to me. ORGAID ORGANIC SHEET MASK, VITAMIN C REVITALIZING plumps and hydrates like a boss! ORGAID is a sheet mask so it’s essentially a piece of fabric soaking in a sealed package. ORGAID uses Ecoderma as their fabric of choice (compared to cotton, plastic, polymers or bio-cellulose). This is a breathable fabric that adheres to the face well and also helps drive serum deeper into the skin. The founder of ORGAID, Dr. Ian Baek, actually majored in biomaterials and specifically researched how to effectively deliver therapeutic effects into the body using diverse biomaterial systems. Like, I can actually be vertical while this mask is on which is a game changer because who has 30 mins to lay down!? Not me sister. Since this is a wet mask it does require a preservative. Looks like ORGAID is using Lactobacillus ferment which rates a 1 on EWG. PS, ORGAID is the only organic sheet mask manufacturer in the US. Psst! 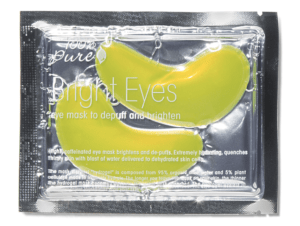 Before I move on from sheet masks…I would be remiss not to mention 100% Pure’s Bright Eyes. Composed of organic aloe juice, matcha green tea, cucumber hydrosol, vitamin c, hyaluronic acid and CAFFEINE, these gems are also a sheet mask but just for your under-eyes. They depuff AND hydrate but the thing that really blows me away is they also slay the blue color under your eyes! It’s unbelievable. Apply and leave on for 20 minutes (or 2 hours until they are paper thin and dry which I do because I am extra like that). They also stay put so you can do stuff while they are on. Game changers for during or after flights, long nights or motherhood in general. Get Bright Eyes here! Okay so what we can’t argue is that every girl needs a good exfoliator. This one happens to be EXCEPTIONAL. Why? Well, I’m so glad you asked! Josh’s Active Enzyme Exfoliator exfoliates in TWO ways: mechanical exfoliation and enzyme exfoliation. Josh uses fruit and herbal enzymes to gently slough off dead skin cells while adding in finely ground walnut shells to mechanically reveal new skin. Every girl needs an exfoliator and Josh Rosebrook’s Active Enzyme Exfoliator uniquely works in TWO ways! Active Enzyme Exfoliator is a professional resurfacing treatment that works to clear, soften and renew skin. You apply it as a mask and you can leave it on anywhere between 10 minutes to 1 hour. It’s formulated with honey to restore moisture, antioxidants to regenerate, anti-inflammatories to calm and nutrient dense plant oils to feed. I mean, this is just a jar of straight up goodness! Exfoliating 1-2x a week can legit transform your skin. It takes the dead cells off leaving skin glowing and ready to receive hydration + nutrients from your face cream or oils. This formula is a must-have and leaves my skin glowing and radiant. Josh’s entire line is also cruelty-free and he sources fair-trade too. If you haven’t met the Josh Rosebrook brand yet, let me just say this….organic + wild crafted is the name of Josh’s game. All of the plant ingredients in his skin and hair care are 100% organic, certified organic or wild-crafted. The base of his skincare line is anti-inflammatory and antioxidant-centered to calm and keep skin full and firm. The Josh Rosebrook line is truly one of a kind! Get Josh’s Active Enzyme Exfoliator here! A one-two punch that every woman needs in her skincare arsenal. Seriously. I love this mask because it leaves my skin fresh and glowing but mostly I love it because it’s QUICK! Like, no time for a mask? You’ve got time for this one girl! The Resurfacing Moisture Mask goes on clear and stays on for 2-5 minutes only. Put it on before you brush your teeth and take it off when you are done and BAM! Glowing, radiant, fresh skin. True Botanicals’ Resurfacing Moisture Mask leaves my skin glowing, radiant and fresh in just 2 minutes! So this mask comes in 50ml and is a clear gel-like consistency. You put on a thin layer and it provides a deep exfoliation, moisturizes and hydrates. I can feel it tingling a little bit when it’s on – nothing major but you can kinda feel it working. The secret ingredient here is Astaxanthin which is a carotenoid (a group of red pigment) derived from microalgae and it’s what’s responsible for turning salmon, lobster, shrimp and flamingos pink. It also happens to be 65x stronger than Vitamin C and 14x stronger than Vitamin E in combating free radicals. This NIH study shows it improves skin elasticity and texture, increases skin’s moisture content, reduces wrinkles and diminishes dark spots. It’s kind of like a little miracle ingredient. And after seeing it here for the first time I am now seeing it show up in a lot of other green beauty products too. This mask is my life. And every mom’s dream come true. Get True Botanicals Resurfacing Moisture Mask here! May Lindstrom’s The Problem Solver solves all of my problems. Pretty much anytime I feel congested or blemish prone (especially around my cycle) I reach for this baby. It’s literally my cure-all for 90% of my skin woes. It’s specifically designed to help people who struggle with severe acne, rosacea, psoriasis and all types of inflammation disorders. Also, really important to point out that The Problem Solver is a blend of dried clay, spices and vitamin concentrations – and with the addition of nutmeg and cinnamon, it smells like Christmas in a jar. So because it’s dry, there is no need for a preservative which is awesome. Also, it’s a pretty huge jar so it will last you forever! The first time I bought one I split it with my sister. The second time I bought one, I knew without a doubt I would use it all. I tend to recommend this mask to people who do not have sensitive skin – it’s a super active mask and you will feel it working on your skin. It’s kind of a mix between a slight burn, tingling and a pulling sensations – but in a good way! 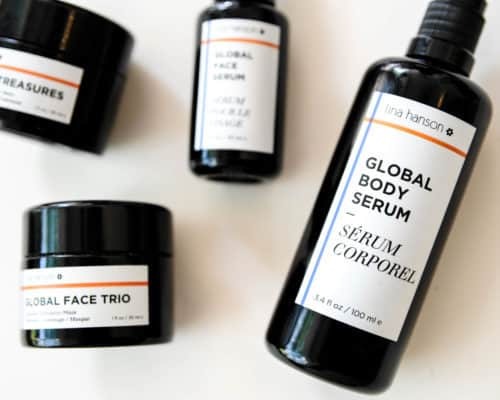 But May Lindstrom says The Problem Solver will balance even the most delicate complexions. Add one 1 tbsp mask to almost 1 tbsp water – mix and apply. (I love using May’s Treatment Bowl and Treatment Brush to mix and apply but any small bowl and mask brush will do). Let sit for 35-40 mins until dry or almost dry and get ready to rid your skin problems. I will never be without this bad boy! Get The Problem Solver here! Since you asked, I’ve got two more masks that drive results. I happen to be out of both of these so I couldn’t include an application pick in my roundup but sill worth mentioning! Mahalo’s The Bean – LOVE this mask. I almost fell out of my chair the first time I used it I was so blown away by the results. It evens skin tone with one application. I remember using it for the first time last summer coming back from vacation after too much sun – and it was The Bean to the rescue! 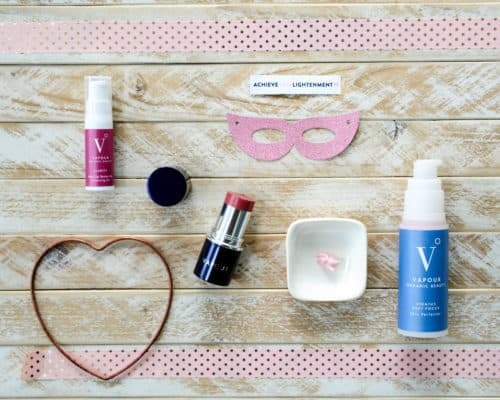 I saw it even and brighten my skin tone with just one use! 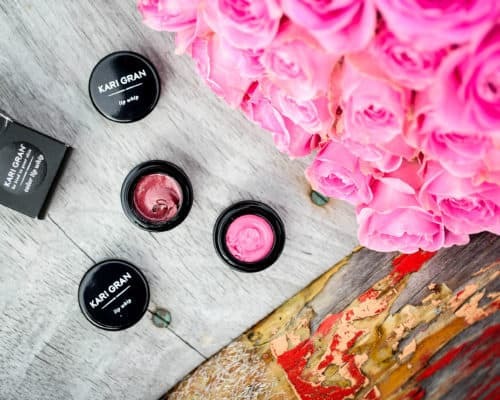 Decadent (the texture, smell, color and packaging are all out of this world) and effective. It also comes in a beautiful wood jar. Handmade in Hawaii. Get The Bean! 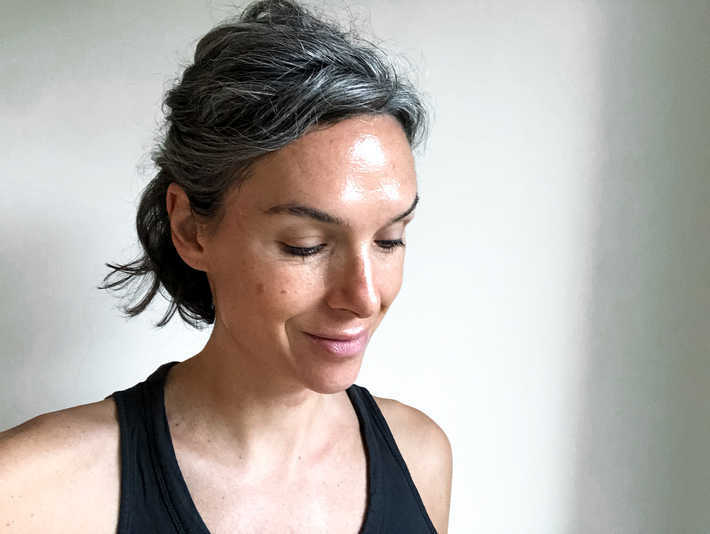 LIVE Botanicals Luna Glowing Mask – I use Luna every morning as a light, light exfoliant and hydrating cleanser – except for right now because I’m out ofc. This mask leaves my skin ready for the day with a fresh glow. This is a honey based mask that I throw on while doing my morning ditty and wash off 5 minutes later. It’s a beautiful and effective way to jumpstart my skin in the morning! And the best part? It’s affordable! 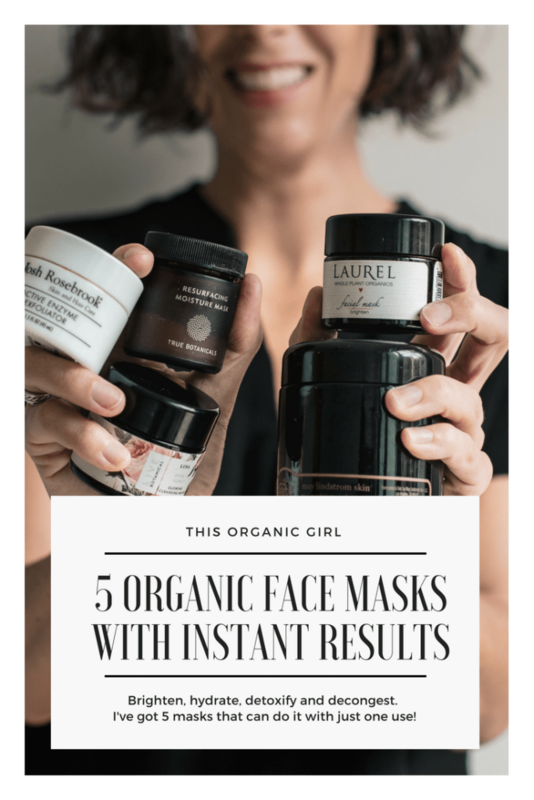 Save 15% with code ORGANICGIRL – Get Luna Glowing Mask! Now Get Your Mask On! Have you tried any of these? What’s a green mask that gives you instant results? Thanks to Monkey & Squirrel for this beautiful cover photo. P.S. Check out a clean skincare line that beat out Proactiv+ in third party clinical trials and my favorite organic towels!